Wow, what a fabulous week it’s been. The sun is starting to come out more often and we’ve been having the best time getting our garden ready for the season ahead! This weekend I’m headed out to take a break and go hiking with some wonderful ladies. It’s hard for me to slip away lately with house projects, work, and kids schedules, but I always come home so thankful for our group so, off I go! 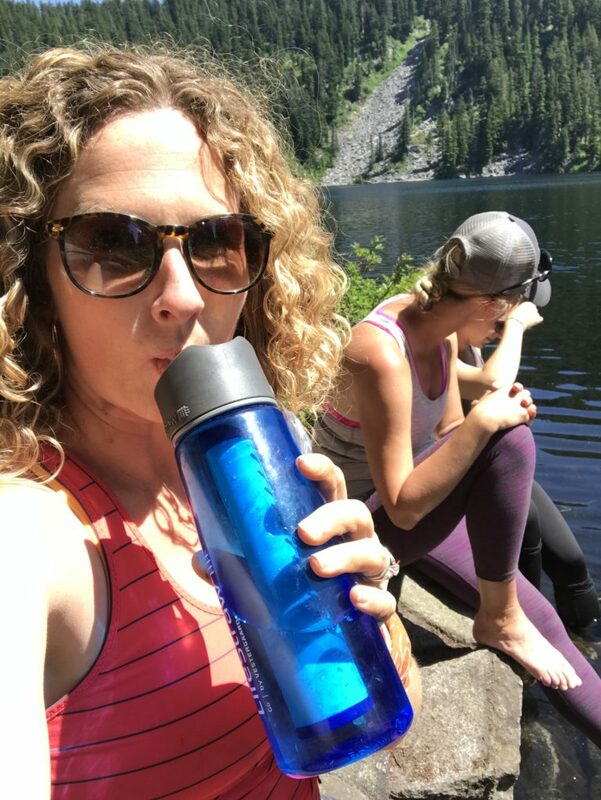 When we started our hiking group, something I totally *should’ve* done is keep a record of all the things we’ve eaten together, and awesome places we’ve gone out for meals/drinks afterwards. We’re approaching our 44th hike and wow, there’s been some delicious trail food! 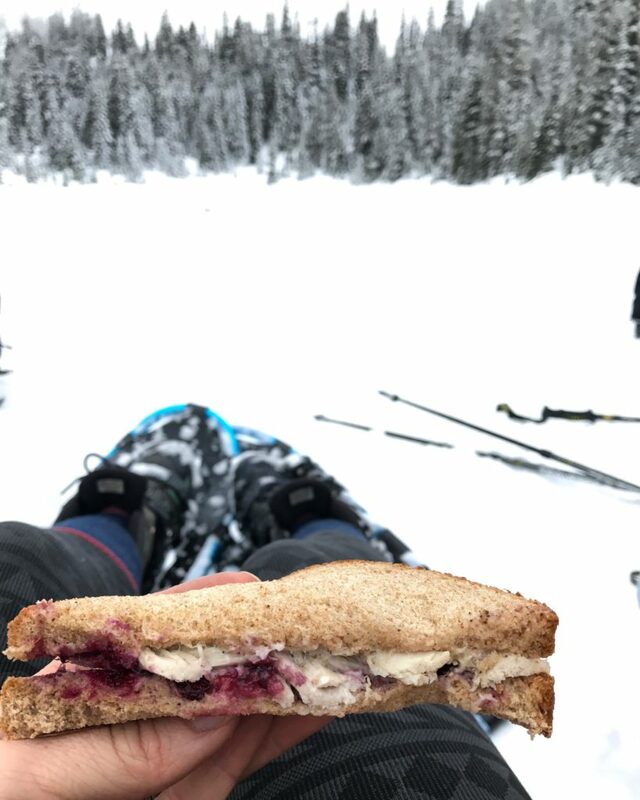 Here are a few highlights…..
Let’s start by talking about this turkey sandwich from the day after Thanksgiving, when I “Opted Outside” with my good friend Brenda. We snowshoed the Skyline Lake trail by Steven’s Pass. What a fun day! Then there was the time when my sweet friend Rachel hiked in a gorgeous variety of hot chocolates for our entire group. We were sitting next to Lake 22 for this one. 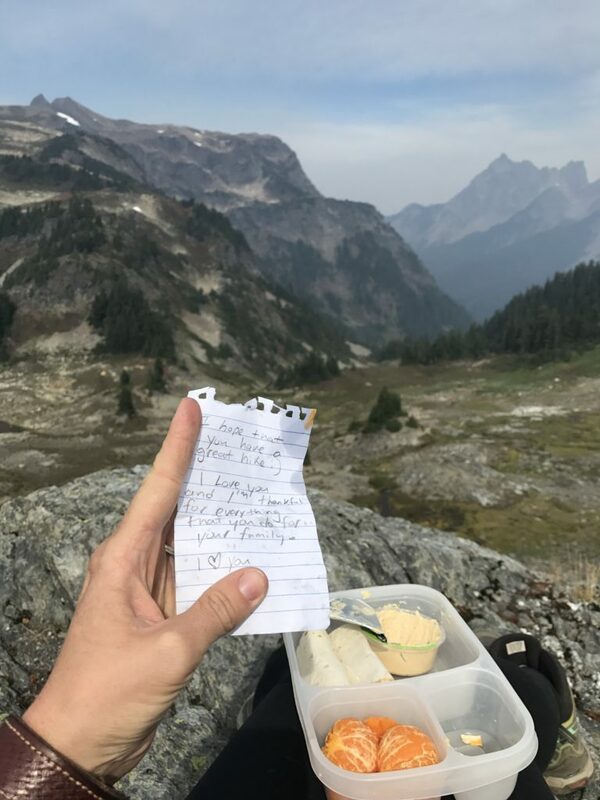 Another time, it was a wonderful little picnic my husband had packed me, eaten on top of Yellow Aster Butte. And then this time…lake water! Sounds disgusting right?! Not with my Life Straw! 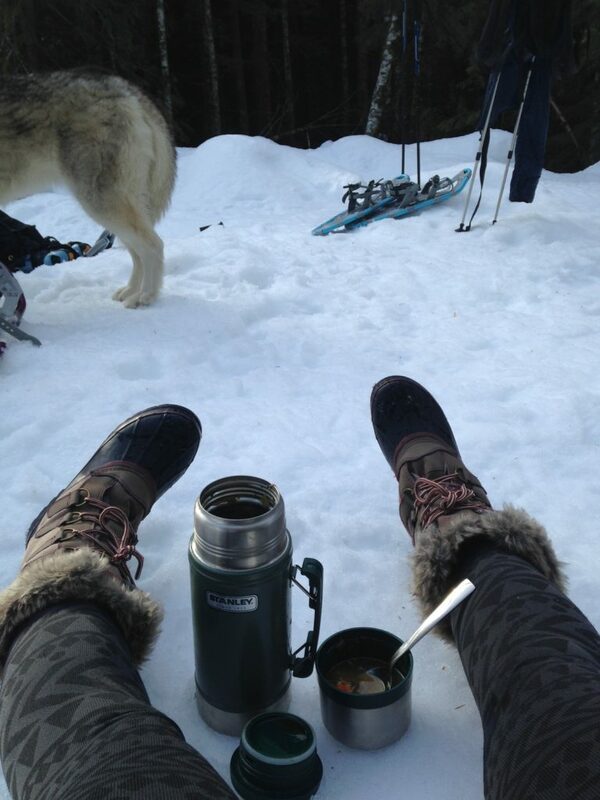 This soup was eaten sitting in the snow the first time we went snowshoeing as a group. That was such an empowering day since so many of us hadn’t used snowshoes before. 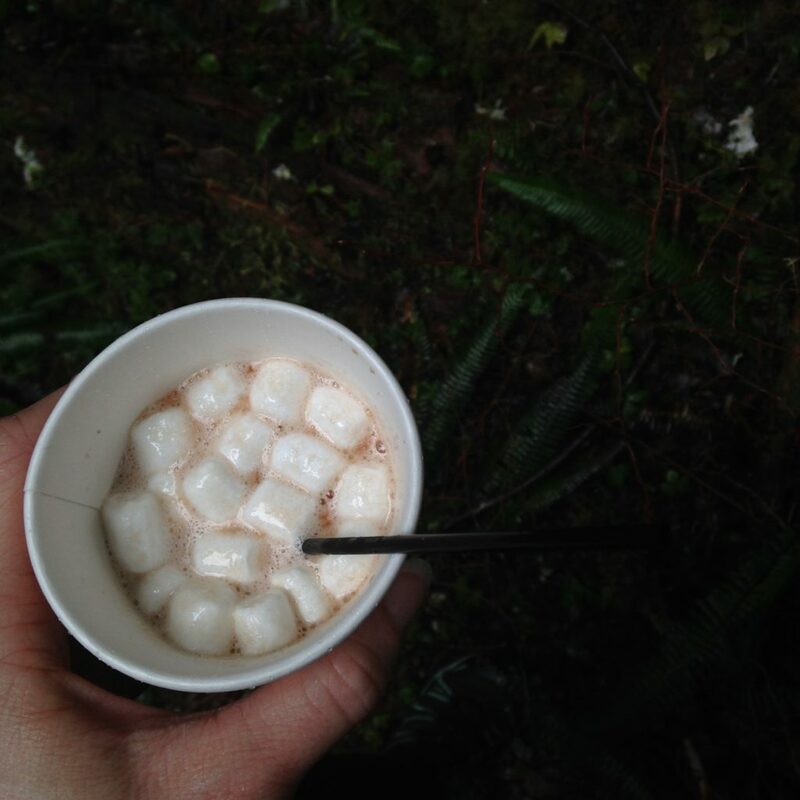 And then hot chocolate again…but this time next to Boulder River Falls. I think either Sally or Rachel brought this one. 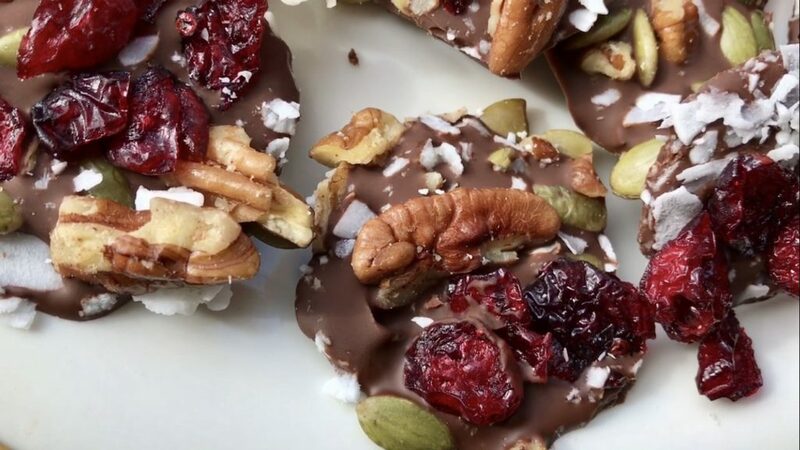 As we get ready to hike again this weekend, I whipped up some super easy Dark Chocolate Trail Mix bites to bring along. 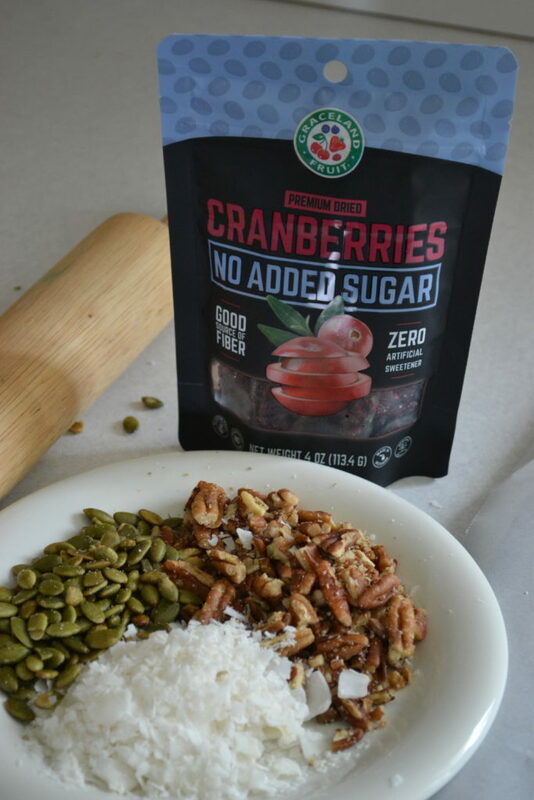 I used Graceland Fruit No Sugar Added Dried Cranberries, pumpkin seeds, chopped pecans and unsweetened coconut as toppings and in my opinion, they’re the perfect mix of sweet and salty. I’m crazy about these cranberries because even though there isn’t any added sugar, they’re still wonderfully sweet. Perfect for a trail mix or in this case, a chocolate trail mix bite. 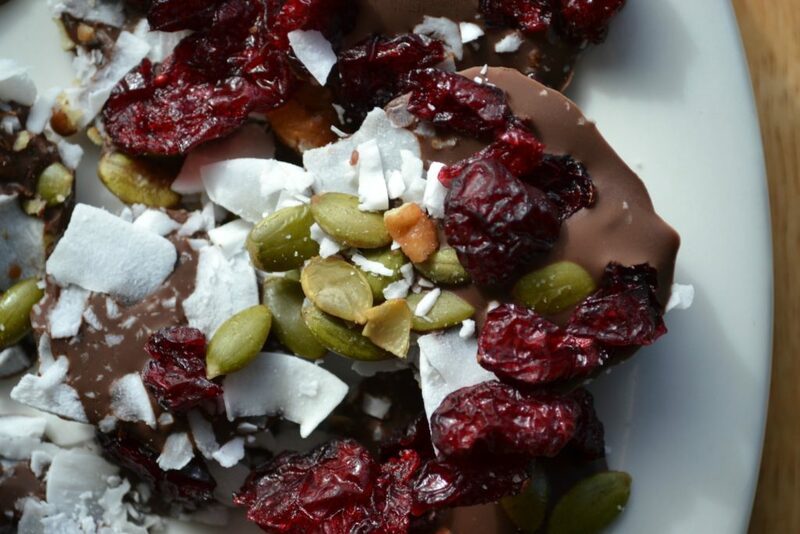 To make these, simply melt your favorite dark chocolate in a microwave safe bowl. Next you’ll want to scoop out spoon fulls of chocolate onto parchment paper. Top with Graceland dried fruit, nuts, seeds, sea salt or anything else you can think of and then put in the freezer for a few minutes to harden. 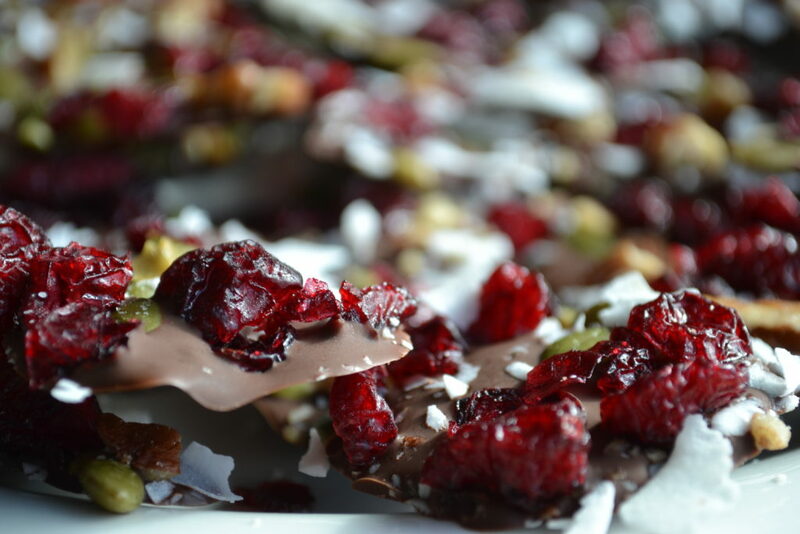 I loved topping mine with the dried cranberries, chopped pecans, pumpkin seeds and coconut. 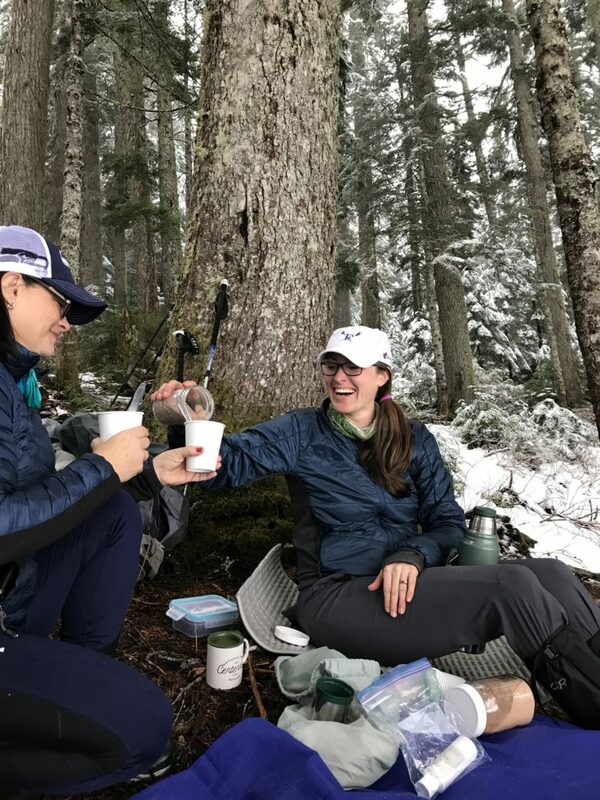 What are some of your favorite trail snacks? A big thank you to Graceland Fruit for sponsoring this post. As always, it’s a privilege to work with companies I truly love and support.